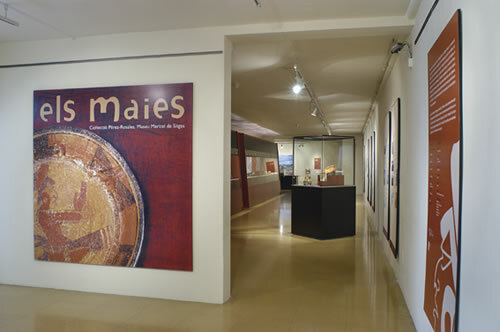 One of the most important collections in the Maricel Museum, both in terms of the number of pieces and their quality, is that donated by Dr. Pérez-Rosales, which contains, among other items, a small collection of pre-Columbian archaeology. This consists of 243 pieces, the majority of which belong to the Mayan culture (southeastern Mexico, Guatemala, Belize, and part of Honduras). Of particular interest are the decorated pottery receptacles, small human, animal and anthropomorphic figures made of pottery and stone, obsidian utensils, and small items of jewellery. 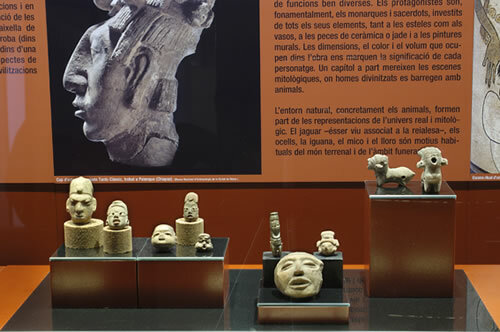 The majority of these objects formed part of funerary offerings placed in tombs and they provide us with information about many aspects of the daily life of the pre-Hispanic Mayans. 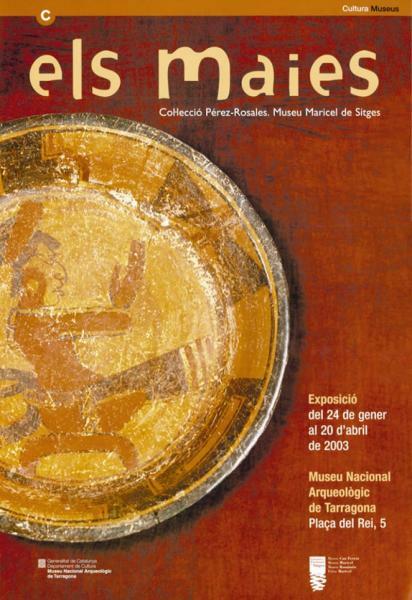 This exhibition on the Mayans is the last in the National Archaeological Museum of Tarragona’s season devoted to the pre-Columbian cultures of Central America, which began with The Arts of Central America. Nicaragua, Costa Rica and Panama. 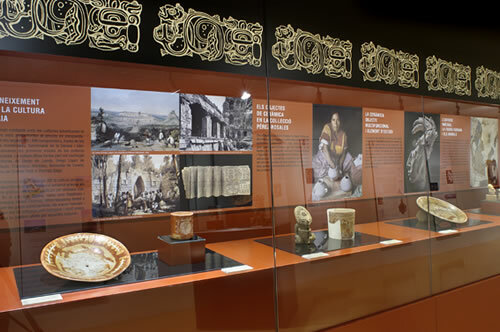 We hope these exhibitions have helped bring about a greater knowledge of the rich reality of a people that played a fundamental role in the history and art of mankind.